I make cat ball toys by felting wool roving or top into a firm ball. These are made in a variety of colors as you can see from the group picture of them. They may vary slightly in size from 2.5-3inches in diameter. Since I also sell these at craft shows, I will have to pick a color for you from what is available at the time you order.If you do have a color preference, let me know and I will do my best to meet your request. 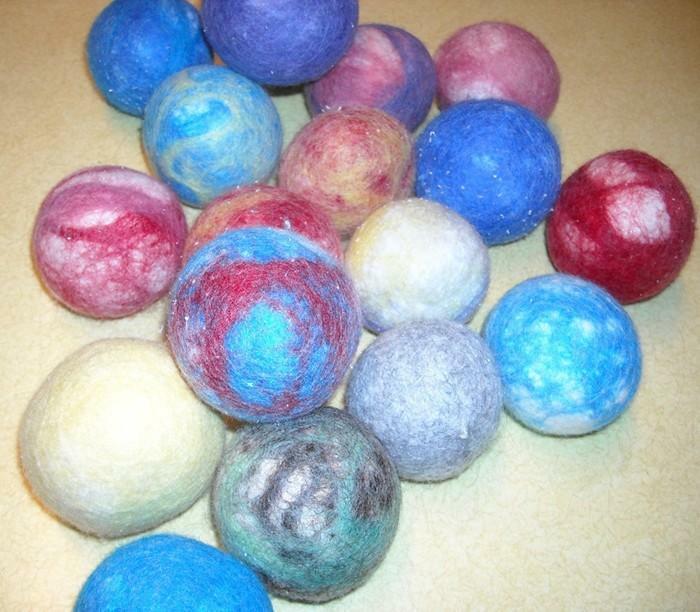 The price is for one felted wool ball, but there are more than one available, if you need more. This is a regular size ball, other sizes are listed separately. By combining shipping on your order items, it may come to a lower price than I have estimated, and I will refund any overage to your paypal account.